When I arrived at UC Davis three years ago to start the Health Professions Advising office, what immediately struck me was not only the large number of students pursuing health careers — 5,000! — but also how much wrong information was being perpetuated about what matters to professional schools when judging student applications. My previous jobs as admissions director and retention advisor at medical and nursing schools taught me what it takes for undergraduates to successfully navigate the pre-health path. I saw how professional schools judge student admission applications: GPAs, extracurricular activities, competencies and aptitudes. But, my knowledge didn’t match what Aggies had heard from student organizations before our office was created to help with the process of entering a health-profession school: medical, dental, nursing, pharmacy and others. While the intentions were pure, the result of so many students advising one another without professional experience has resulted in some misconceptions that I hope to clear up. At a large, Division 1 research institution running on a 10-week quarter system like UC Davis, first-year students often become overwhelmed by the volume of information and the pace of learning. This can result in less-than-desired GPAs in the first year. Some students have been told that if your GPA is low, the best thing to do is to overcompensate with activities to offset the bad grades. This strategy can be easily achieved here, with hundreds of activities available, from health internships, clubs and intramural sports to student-run clinics. The problem with this theory is that most health-profession schools highly value the GPA. In fact, GPA is the first screen for many of those schools, not number of hours spent on extracurricular experiences. When the limited hours a student has available are spent planning events instead, it is less likely that the GPA will ever go up. Ultimately, students have to submit subpar grades when it comes time to applying for professional school. If a student is unhappy with their grades, he or she should speak with an advisor about the academic resources available on campus and resist the urge to add one more club to their ever-growing resume. Many pre-health students choose to be a science major despite any clear evidence that being a science major increases their chances of gaining entry to a professional school in the health sciences. In fact, if you ever have the chance to listen to admissions representatives from health-professions schools speak, they will all say that they like to see non-science majors, such as those in the humanities, business or social sciences. The schools’ websites state that all majors are encouraged to apply. Every admitted class at any health-profession school is composed of students from various majors. Despite this evidence, students are reluctant to pursue interests outside of science in fear of jeopardizing their chances. The truth is that pre-health students can pursue any major and, at the same time, work toward a health career. No major on campus aligns exactly with the requirements of any professional program — you will end up taking extra classes outside your major to meet admissions requirements. 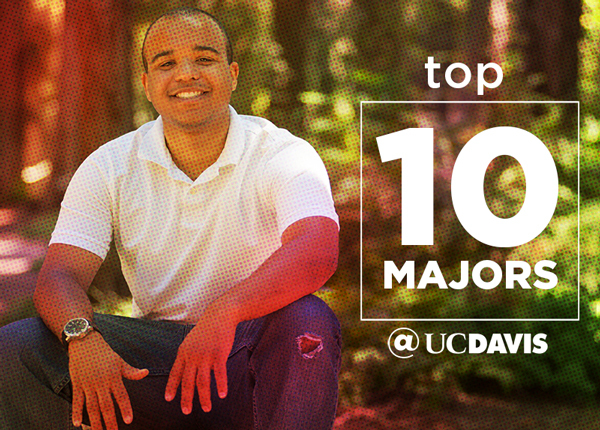 The best major for any student is one they are passionate about and can do well within. Majors are a great way to define yourself, learn information that won’t be available in health-profession schools and allow you to enjoy your college years. Choosing a major like philosophy, sociology or computer science would never hurt your chances. In fact, you would be bringing academic diversity and a unique perspective, both qualities that are highly valued by the professional schools. Now, don’t get me wrong. Getting into a professional school in health is competitive, but the average GPA and test scores for various schools does not constitute the minimum requirement. Each average consists of ranges. We would never encourage a student to apply with the minimum GPA of 3.0, but certainly students with “average” GPAs (3.4-3.6) get into health-professions programs all the time. What is more important than worrying about whether a 3.5 GPA will get you into a health-profession school is making sure that you are developing into the type of person that health-profession schools actually want. Competencies and attributes are becoming increasingly important, and each year, data shows that students with 3.9 GPAs are not being accepted anywhere. One can only assume the reason someone with off-the-charts numbers isn’t being accepted has to do with what they aren’t bringing to the table besides book smarts. Health-profession schools value strong communication skills, the ability to work well on a team, problem-solving abilities, critical thinking and, most importantly, self-directed learners. The best way to develop these attributes is to first reflect on the strengths you currently possess and then on your weaknesses. Then seek experiences and coursework that serve to strengthen your weaknesses. Grades will get you pretty far in this process, but grades alone cannot help you on your interview day. To learn more about being successful at gaining entry to a health profession program, visit our Health Professions Advising website or schedule an appointment. Joanne Snapp earned a Bachelor of Science in Education and a master’s degree in English from Northwest Missouri State University. Joanne worked for a podiatric medical school, a small private college as a retention counselor and finally at an allopathic medical school as the director of admissions, all in New York City, before coming to UC Davis where she is director of the UC Davis Health Professions Advising Office.